Another family has allegedly been gagged from speaking out about their experiences with Child Protective Services and a hospital they have said is hurting their child. Lakisha Tanna is the legal guardian and grandmother of Baby Malik, hereafter known as "Baby M." She has been ordered by the Cook County, Illinois, Family Court to refrain from media contacts or postings about her grandson. There is great concern for Baby M's safety at present. 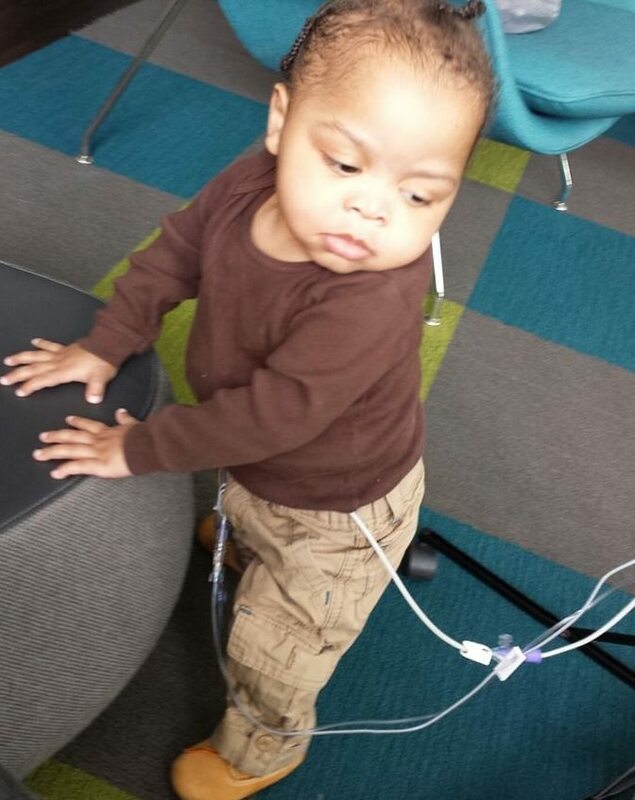 He is currently being held in Lurie Children's Hospital. His latest return there was not for any medical reason; it was an emergency placement because he was removed from the foster parents' custody. Allegedly, Lurie Children's Hospital is planning to repeat surgery on him soon, one which has been performed twice already, involving resectioning of his intestines. Is the State of Illinois trying to silence the family? Is his how Child Protective Services has gotten away with taking children away from parents for so long, in so many places, without bringing criminal charges against the parents? Where is the transparency when gag orders are issued against the parents, and news reporters are forbidden to obtain or print any records on this cases? The secrecy that shrouds the Family Court System potentially endangers families everywhere, because any alleged corruption is allowed to continue unchecked. Does it supprise anyone that CPS will use the judges in their back pocket to make gag orders to keep the public in the dark as to keep kidnapping children and drug them up to say what ever CPS tells them to??????? Yes This is what's been going on. I am sure this is just the beginning. Nationwide. Its called. Profits over people. The Drugging of children is unacceptable. Besides there really is not such thing as Mental Health. How can the word Health be describe as TOXIC DRUGS. An. Labels. Not scientific evidence. Its all. Fraud. I encourage all to read the book by former. Eli lily. 35 years employed I will save you the 100 $ on amazon. You can legally read for free. Just. Google ~~ side effects of death by pharma insider @ WORDPRESS. Astonishing, shocking ,heart wrenching. TRUTHS. How 1 pill. Prozac made 5p BILLION on. Bribes an no deaths or subsides were reported. The sooner you read it the better you will be. Have emotional times is not a Mental Disorder or disease.